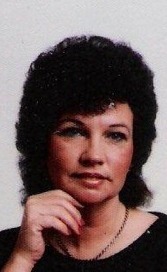 Pamela A. Butts, age 72, of Saint Paris, and formerly of Yellow Springs, OH passed away at 1:12 a.m. on Wednesday, January 23, 2019 in her residence. Born on July 2, 1946 in Piqua, Ohio Pam was the daughter of the late Garnard Draper and Ann (Miller) Draper Shaffer who survives in St. Paris. She married Max L. Butts on December 22, 1970 and he preceded her in death on July 30, 2018. Three children survive: Roxie (Tim) Maloney of Conover, Rick (Julie) Brewer of Troy, and Jay (Angela) Butts of Eaton; three step children: Kim Butts of Rosewood, Chris Butts of Columbus, and Jessica (Ben) Graves of Fairborn, OH.. She was a loving grandmother to: Max and Addison Butts of Eaton, Brandon (Jenni) Park of Sidney, Jayme (Stephanie Egan) Park of Columbus, Jade Maloney of Conover, Aaron Brewer (Brandon Cox) of Bucyrus and Ryan Brewer of Sidney and three great grandchildren. As a child Pam attended Brush Church in Shelby County. Ohio. She was a supervisor at Clean-All of Sidney. Pam’s hobbies included painting, making dolls, and collecting miniature doll furniture. Funeral services will be held on Saturday, January 26, 2019 at 1:00 p.m. in the Atkins-Shively Funeral Home, 216 S. Springfield Street, Saint Paris, Ohio 43072 with Pastor Andy Leighty of the Rosewood United Methodist Church presiding. Burial will follow in Upper Honey Creek Cemetery, S. Elm Tree Road, Saint Paris, Ohio. Visitation will be held in the funeral home two hours prior to the funeral serviced on Saturday beginning at 11:00 a.m. In lieu of flowers memorial donations may be made to His Hands Extended Pet Sanctuary, 1560 Dialton Road, Saint Paris, Ohio 43072. Envelopes will be available in the funeral home. Condolences to the family may be sent to www.shivelyfuneralhomes.com.